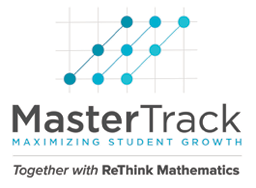 ReThink Mathematics, together with MasterTrack Solutions, supports teachers and schools build highly successful K-8th grade math programs. Teachers love how simple, practical and effective the program is to implement in their classrooms with any textbook series. With ReThink Mathematics’ resources and instructional strategies in place, schools' success in mathematics soars! Educators walk away with a strong understanding of the unique mathematical progression of the Core math skills and concepts at each grade level K- 8th. Classroom teachers learn simple strategies to implement weekly classroom-based 'quick-check' math assessments to help monitor student progress. Teachers learn how to use an efficient and effective tool that allows them to easily track individual student progress on each specific math skill until mastery. Teachers discover how classroom routines shift when data is truly driving their instruction and differentiation strategies each week. Principals determine how to align professional development and additional instructional support based on the data from each individual classroom. Educators gain new tips to reinforce problem solving, modeling, communication, and fluency in their classroom routines. ReThink Mathematics is an approved vendor for schools' title services so educators can earn 5.5 Washington State continuing education hours* for participation in our workshops! Cost: $220 per educator: Includes a free license to our MasterTrack software and a copy of Guide to Understanding the Core. 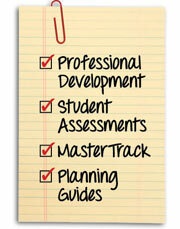 We encourage administrators and instructional coaches to accompany K-8th grade math teachers.